With just under two weeks to go until polling day, the pressure is on Ed Miliband and David Cameron to steer their respective parties over line and into Downing Street. Every seat is precious as Labour and the Conservatives start to eye up forming workable governments. However, as the Tories talk incessantly about the threat that the Scottish National Party poses, might they have taken their eyes off of key seats closer to Westminster? All signs indicate that Labour is enjoying a surge of support in the capital, and if London organiser and Tooting MP Sadiq Khan can convert that support into seats gained, it could prove pivotal. We’ve launched a number of London Regional Markets in the past week that indicate Labour are set to gain at least six seats, taking their total to 44 out of the 73 London constituencies. One of the constituencies to watch closely is the battle for Finchley and Golders Green, where Labour’s Sarah Sackman is in an absolute dogfight with the sitting MP Conservative Mike Freer. Could Margaret Thatcher’s old seat fall to Labour? Similarly, Ealing Central and Acton is fascinatingly close but we make Labour’s Rupa Huq favourite to unseat the Tories Angie Bray. Our individual constituency markets are scored via a ‘Win 25 Index’, whereby the winning candidate on 7th May will be given 25, the second place candidate 10, and any others 0. Rupa Huq is currently 18 – 19.5 to win the seat, whereas Angie Bray is 15.5 – 17 to defend it. It will certainly be close. As national opinion polling is largely static and unchanging, we’ve developed a number of General Election Specials including voter turnout, seat supremacy and size of smallest winning margin, which is currently at just 29 votes. The makeup of the next government may come down to a single seat, which could be decided by a tiny fraction of the UK population. Labour may be hurting in Scotland, but if London comes through for him on 7 May, Ed Miliband could find himself walking through Number 10 as Prime Minister. 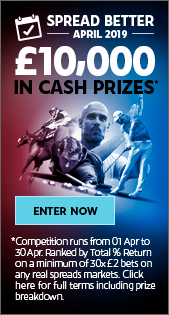 Sporting Index is the world leader in sports spread betting, offering 100+ markets on the world’s most popular sports. Whether it is buying the margin of victory in an election or selling the number of seats each party will win, bettors have never had such a wide and immersive political betting experience. 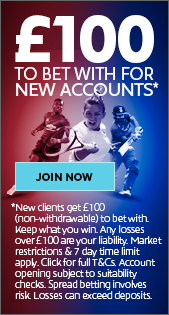 Sign up for a Sporting Index account today and enjoy the most exhilarating betting experience there is.